As one of the leading FANUC Specialists covering the Western States of the US, CNC Electronics West have an extensive inventory of Fanuc power supply units with their NEW replacements all supplied with an industry leading 2-year warranty. Stock of their new replacement Fanuc power supply units includes power supplies for the Fanuc system 3 & system 6 and the control series Zero C (0-C, 0-D, 0-F) family of controllers. All new Fanuc replacement power supplies are built in the USA by CNC Electronics West and customers can be assured that they will receive a product that is of a high quality and is of a superior product to any other offered elsewhere. With savings of up to 80% on prices offered by the original equipment manufacturer, CNC Electronics West are able to offer a really cost effective viable alternative. In addition to new replacements, CNC Electronics West also offer their core service exchange program with somewhere in the region of 69 different Fanuc power supplies currently supported. The Fanuc systems covered under this include system 3, 6, 10, 11, 15, 16, 18, 20, 21, 0A, 0B, 0C, 0D, 0F. With more than 100 test rigs available for various GE Fanuc drives, control boards, monitors, power supplies, motors, encoders and keyboards CNC Electronics West also offer a range of electronics inspection, testing and diagnostics services on many Fanuc control systems. For any items not in stock in most cases they can offer a 24-hour repair turnaround on system power supplies, input units and graphic CRT/MDI power units. All refurbished exchange, and repairs power supply units from system 3 through to series 16/18/21i come with a 180-day warranty. Regardless of the service required and whether customers need their Fanuc 3 tested or a diagnosis of a fault on the latest controls, CNC Electronics West can help. For further information and a more detailed description of the power supplies CNC Electronics West can offer please visit the Fanuc Power Supplies page on their website. 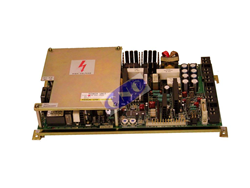 http://fanuc.cnc-electronics.net/products/fanuc-power-supply-unit/. Out Now! The 2018 CNC Electronics’ West Price List. Please contact CNC Electronics West directly to request your copy. Founded in 2009 to help customers in the Western states of the US, CNC Electronics West based in San Diego are the premier independent FANUC PARTs specialists to Western US, Canada, Mexico and the rest of the America’s. Combined with their East coast partner and the rest of the group they offer many services for Fanuc CNC and GE Fanuc. Services include extensive AC servo and spindle, Alpha & Alpha i power supply module testing, repair and parts for exchange. Same Day / 24-hour turnaround on FANUC Repairs, and large stocks of CNC monitors, PCBs, and much more. In addition to parts distribution, CNC Electronics West also offer a full sales and after sales service, a reliable warranty program and a range of testing and diagnostic services that are second to none.